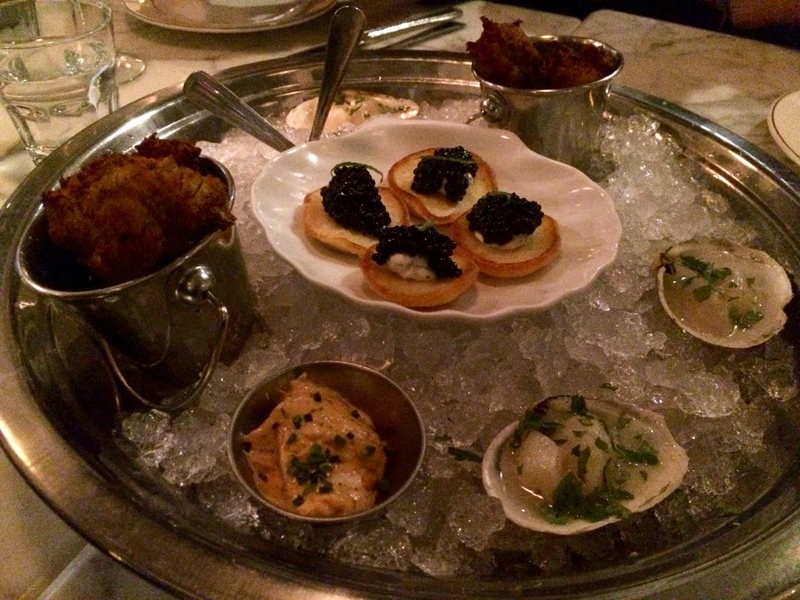 A taste of the sea at Pier 66 – Montreal restaurant | Everything Delicious. Having dinner at Pier 66 is like being transported to the seaside for a couple hours. With a seafood-only menu, this restaurant definitely has a taste of holidays. The menu is short and sweet, and the waiter had a couple of daily specials to offer. 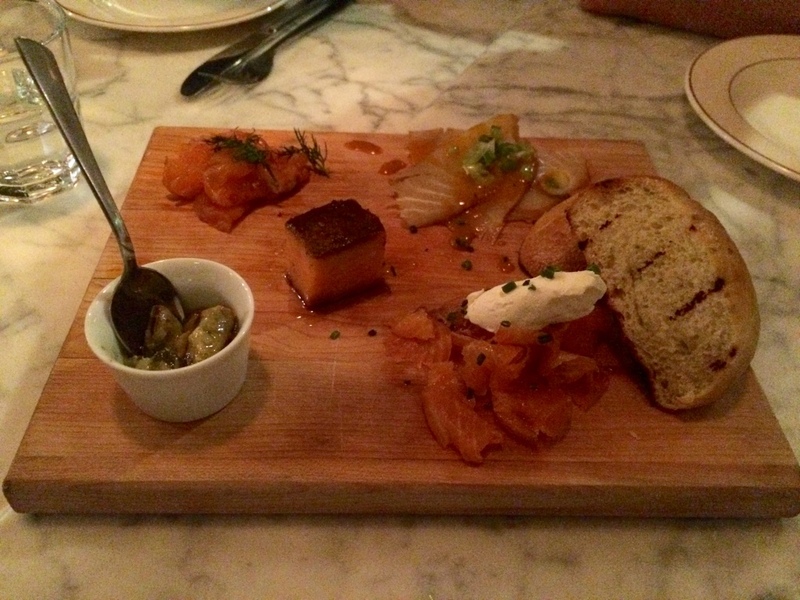 We started off by sharing the selection of sea platter and the homemade smoked fish – the house specialty. Both were nice and fresh although a bit pricey for sharing plates. Two of us then shared a catch of the day (a bream in this case) which was simply and nicely prepared. 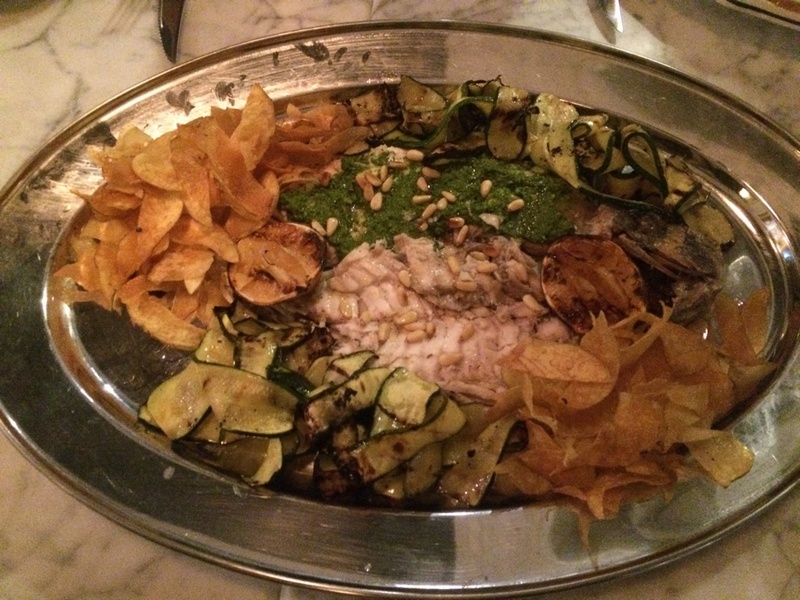 It was grilled and served whole with homemade pesto and a side of chips and zucchinis. The scallops dish was delicious too. 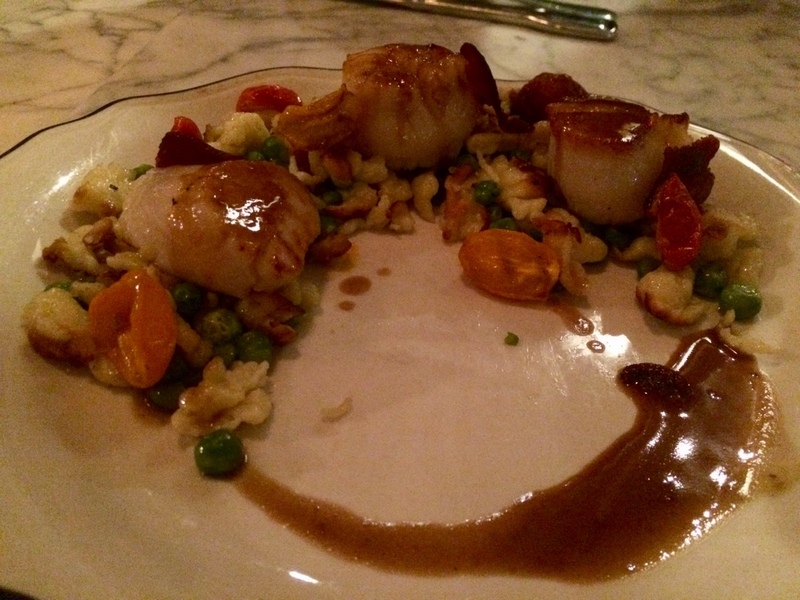 Cooked to perfection, the scallops were served with an interesting side of crispy spaetzel and green peas. The dish looked small at first but the scallops were actually pretty big and the plate quite filling. With black & white floors and marble countertops Pier 66 is very elegant yet comfortable. The room caters to about 30 people which keeps it quite cozy. The service was attentive and friendly. Whenever you have a grilled fish craving, think of heading to Pier 66. They also have a take out counter if you fancy trying their homemade smoked fish or other delicacies at home. 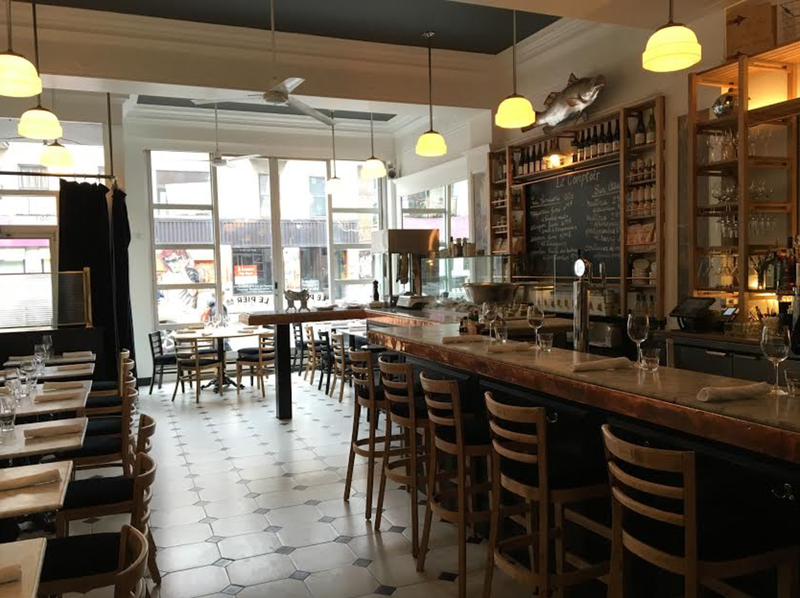 This entry was posted on November 19, 2016 by Pauline Rosen in Restaurant feed and tagged cod, Montreal, montreal restaurant, pier 66, pier66, pier66 montreal, restaurant montreal, scallops, seafood, seafood restaurant, smoked fish.